I’ve been in a lunch-rut at work. 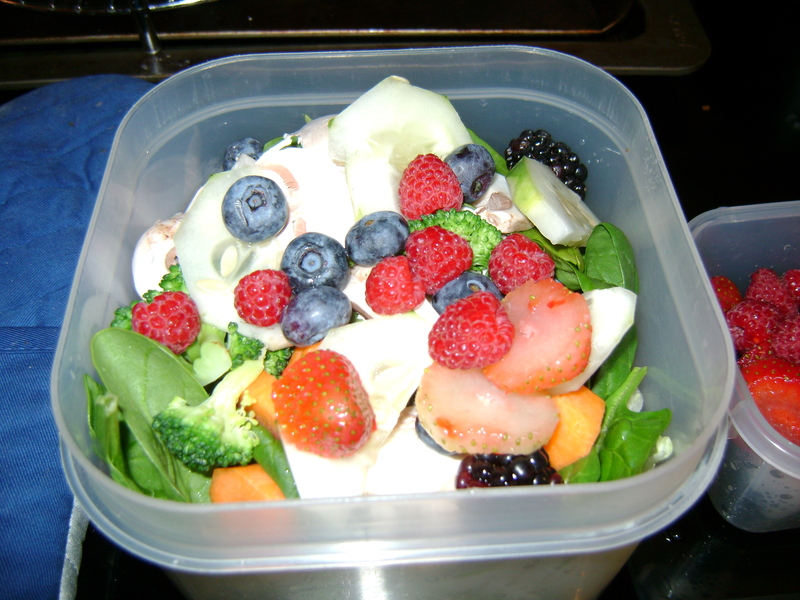 Definition of lunch rut: Eating the same thing day after day for such a long period of time that it becomes a routine! My lunch rut: Peanut butter and jelly on some sort of bread (whole wheat, cinnamon raisin, or in a tortilla), an apple, and occasionally a spinach and romaine salad. Don’t get me wrong, I love my PB&J, but I’m tired of it. With winter here, I seem to crave soup each day. Salad ingredients just aren’t as fresh or exciting in the winter. Plus, my office is always freezing, so it’s the perfect meal to warm me up mid-day. I bought a rotisserie chicken at the grocery store to use for a few meals this week, and first up on my list to make was chicken chili! This is a new recipe I tried from Kristin, and it’s amazing! 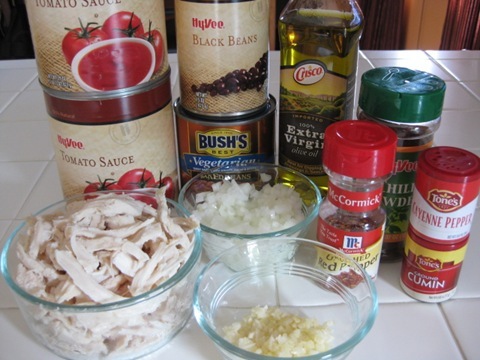 It was super simple to make with the edition of pre-prepared chicken, and I added my own twist with the edition of corn, a red pepper, and subbed cannellini beans for black beans. 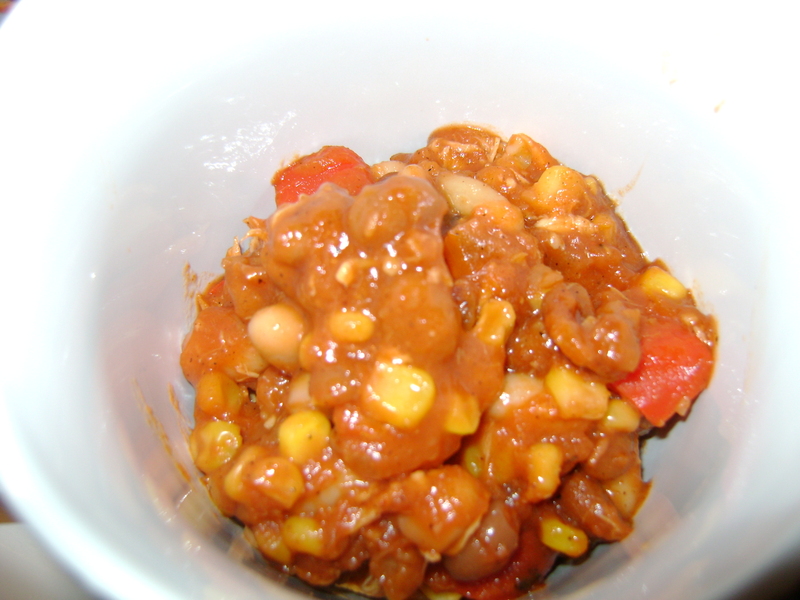 The star of this recipe is the baked beans…I’d never put baked beans in a chili until now. I won’t go without them from now on, that’s for sure! Directions:1. 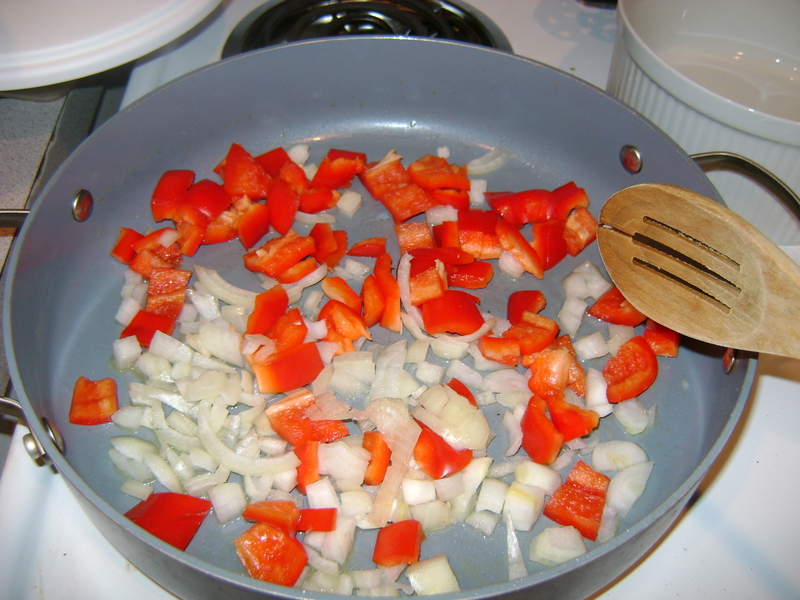 Sauté onions and red pepper in a large pot, in olive oil and salt and pepper for 7-10 minutes on medium low. Add garlic and cook, stirring constantly, for another 2 minutes. 2. 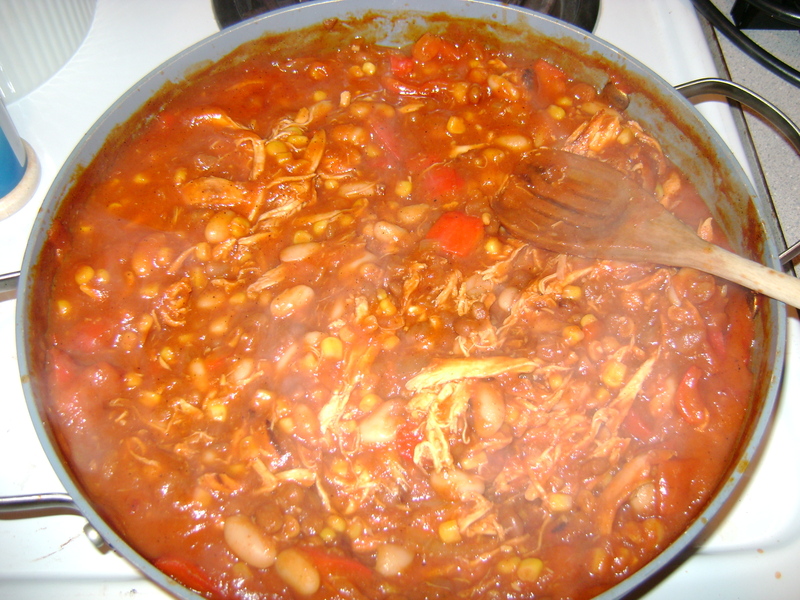 Add tomato sauce, corn, cannellini beans, baked beans and shredded chicken to the pot and stir to combine. Add seasonings ( I used chili powder, garlic powder, and S&P), stir to combine, turn heat up to medium and let simmer for 15 minutes. 3. Taste and adjust seasoning if needed. Top with shredded cheddar cheese. 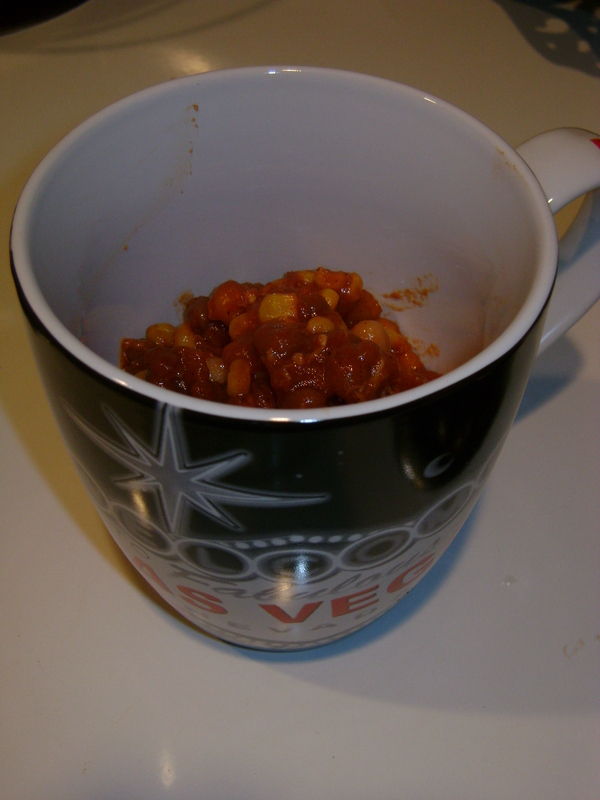 yummy chili enjoyed in my Vegas mug! Along with the chili, I had a side of cornbread casserole and it was the perfect accompaniment. Next time, I’m going to crumble my cornbread on the top…I recently noticed that Panera Bread advertises their new chili with cornbread croutons on the top. Can you say heaven?? Side note: This makes A LOT of chili. I’m freezing the leftovers! What’s your favorite chili recipe?